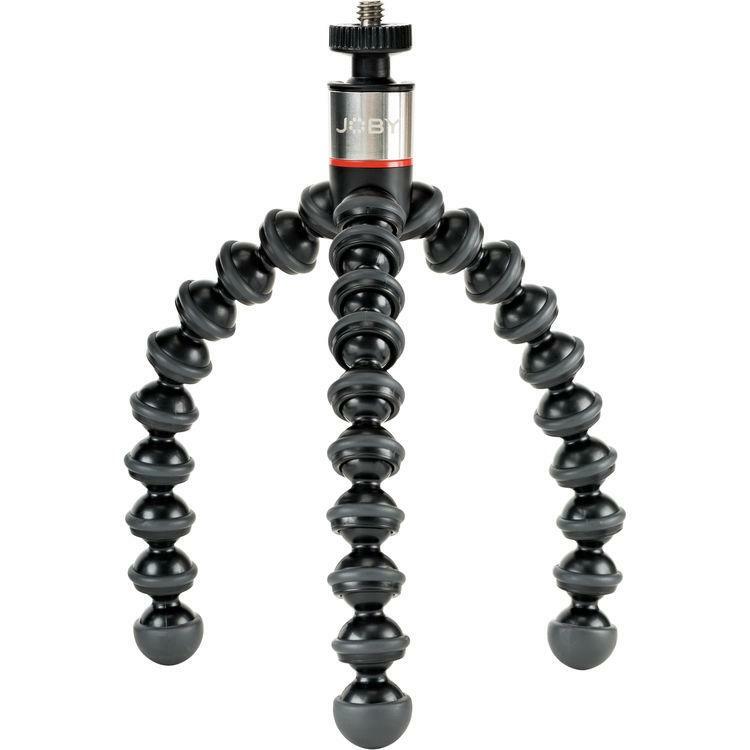 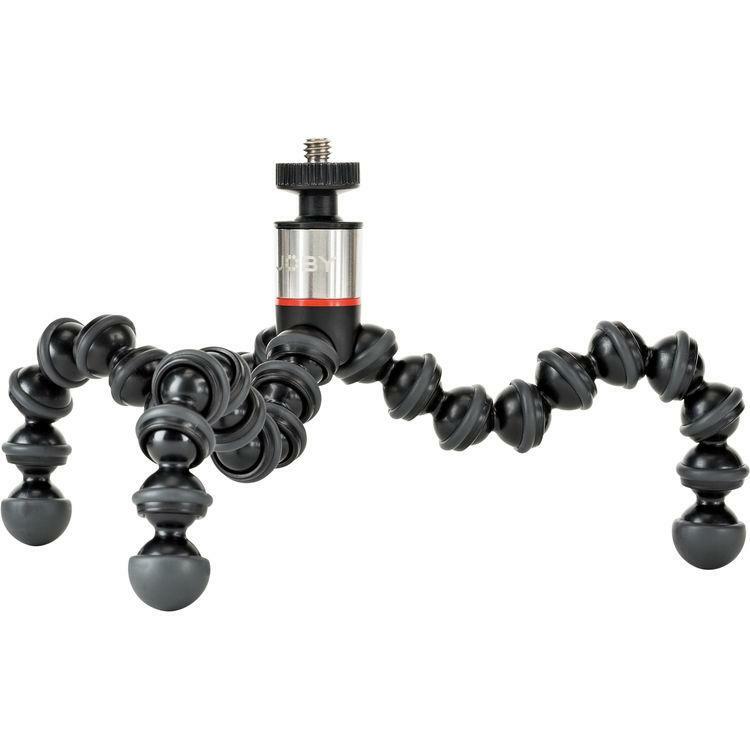 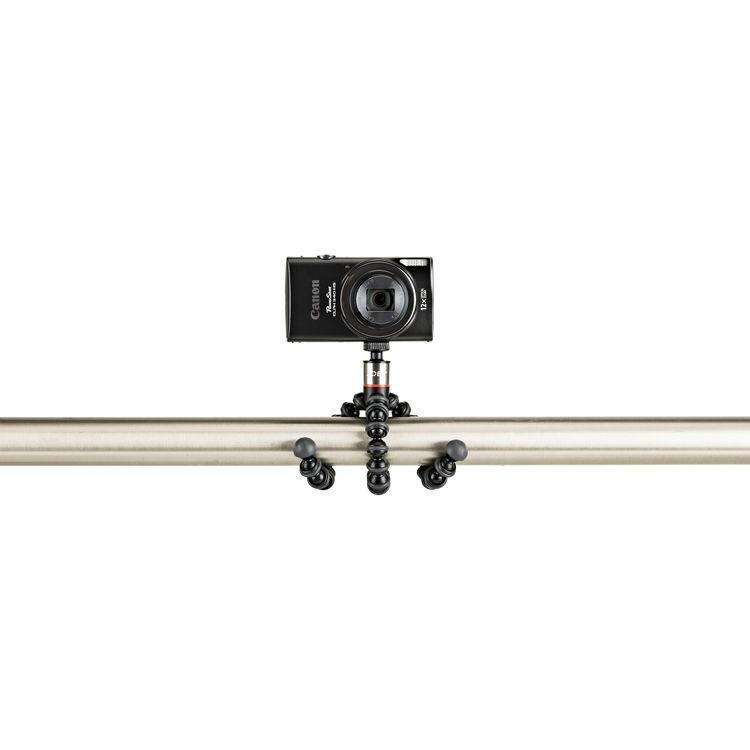 A compact and versatile option for supporting your gear, the GorillaPod 325 Flexible Mini-Tripod from Joby has legs made up of several joints that enable you to wrap it around objects and adapt it for use on uneven ground. 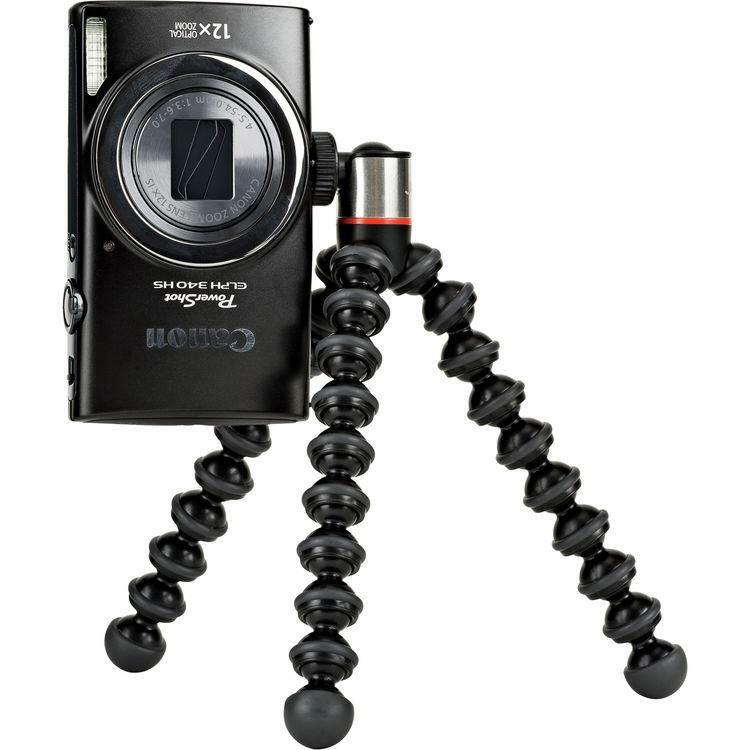 With a load capacity of 11.5 oz, it can reliably hold most compact point-and-shoot cameras and video lights. 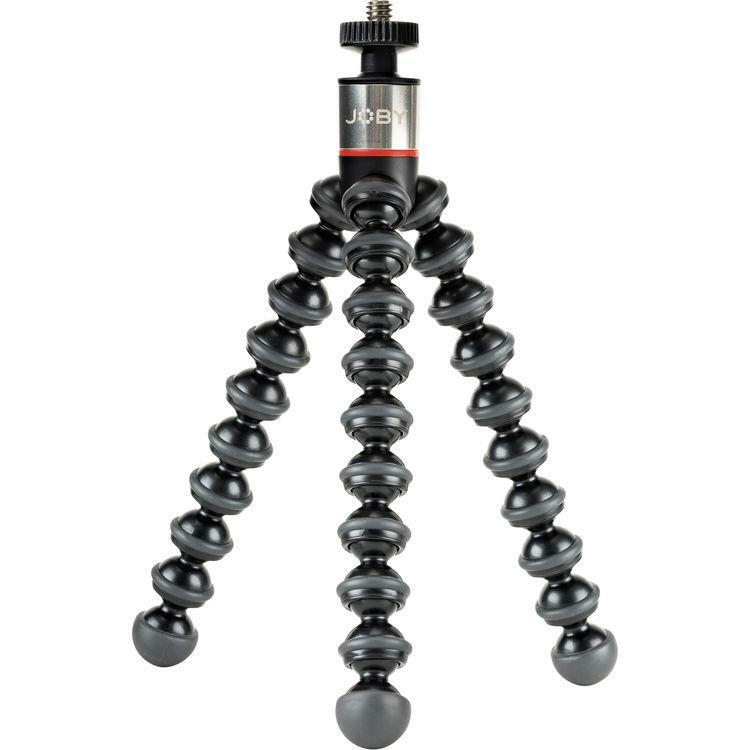 A weight of only 2.2 oz makes this tripod easy to carry while travelling, allowing you to fit it in a small bag or even keep it in your pocket. 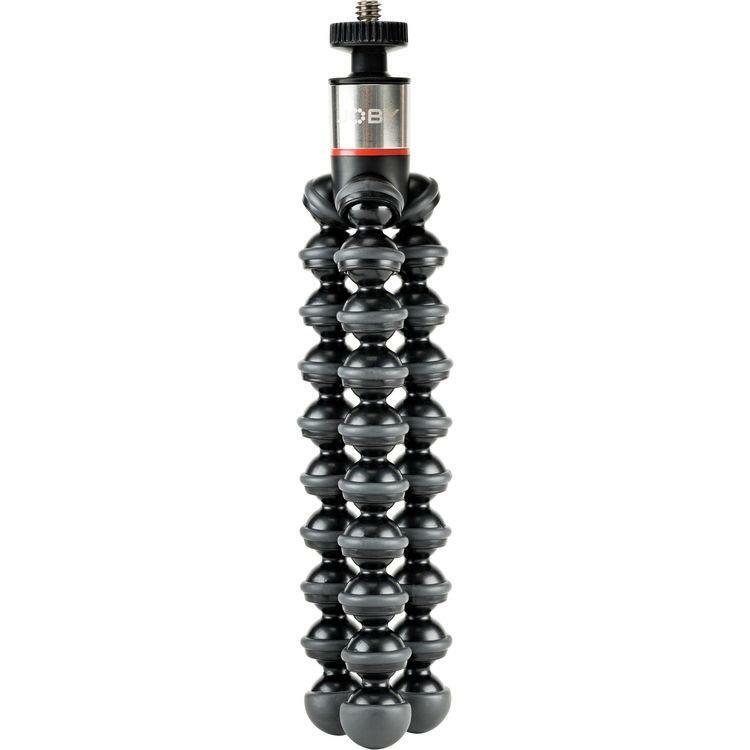 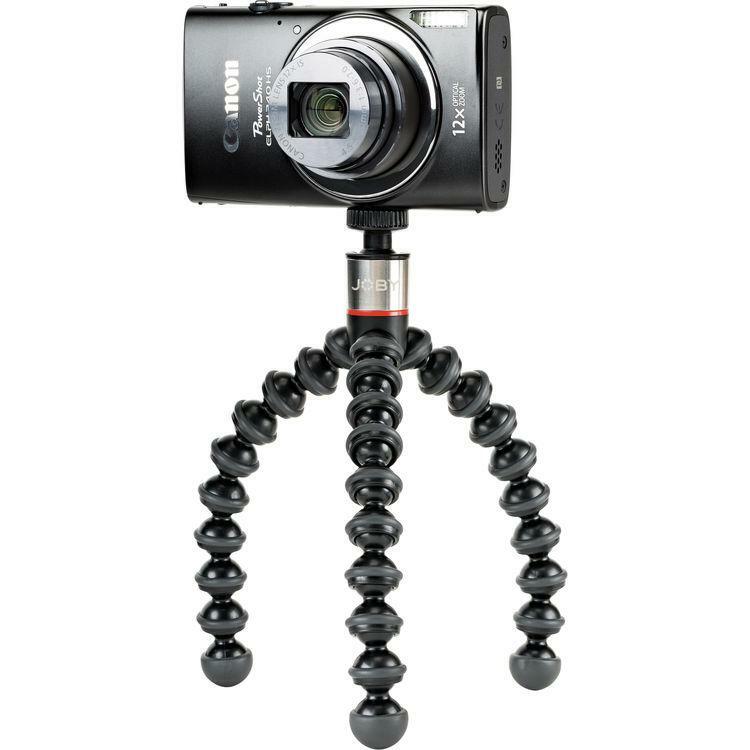 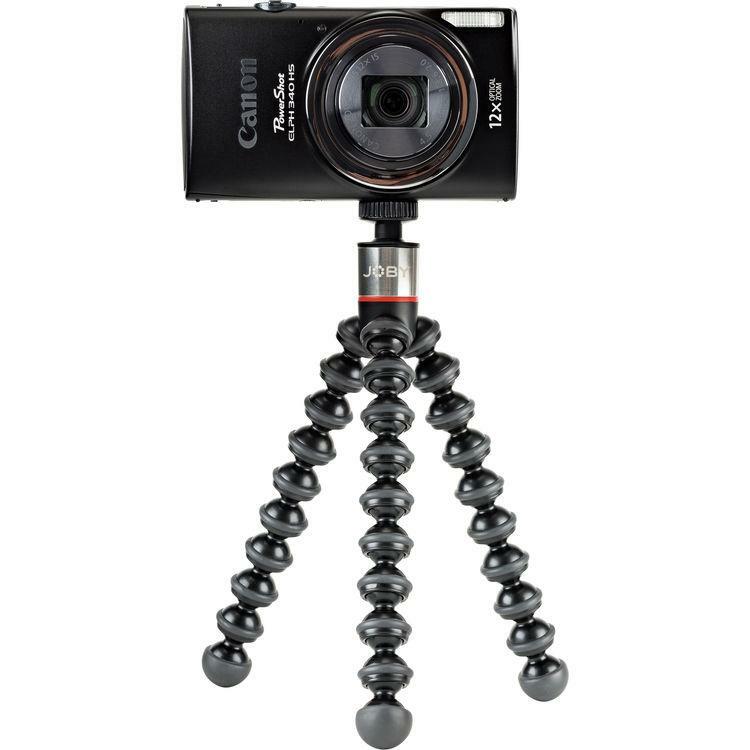 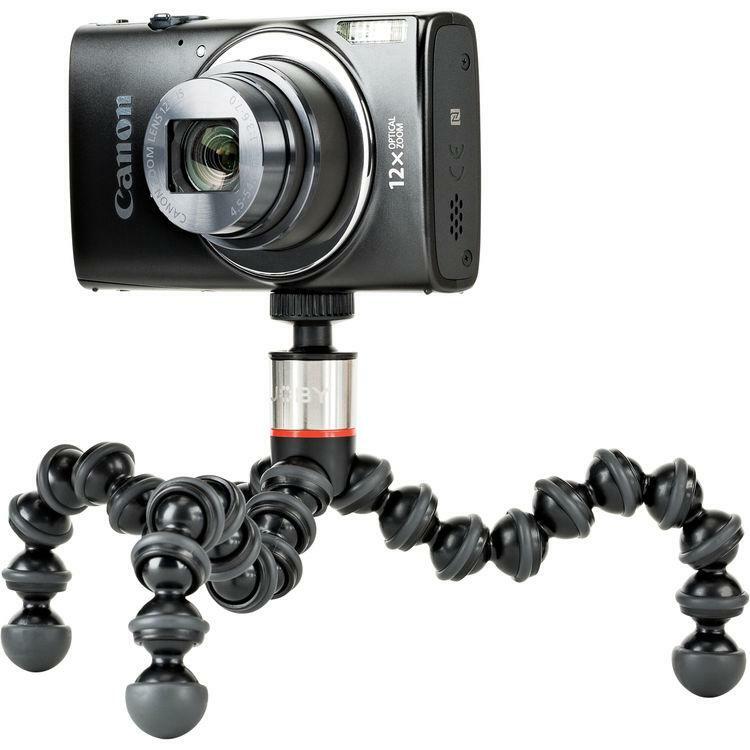 Built into the GorillaPod 325 is a small stainless-steel ball head capable of tilting 90° for portrait photography and featuring a standard 1/4"-20 screw, which is used to attach to your gear. 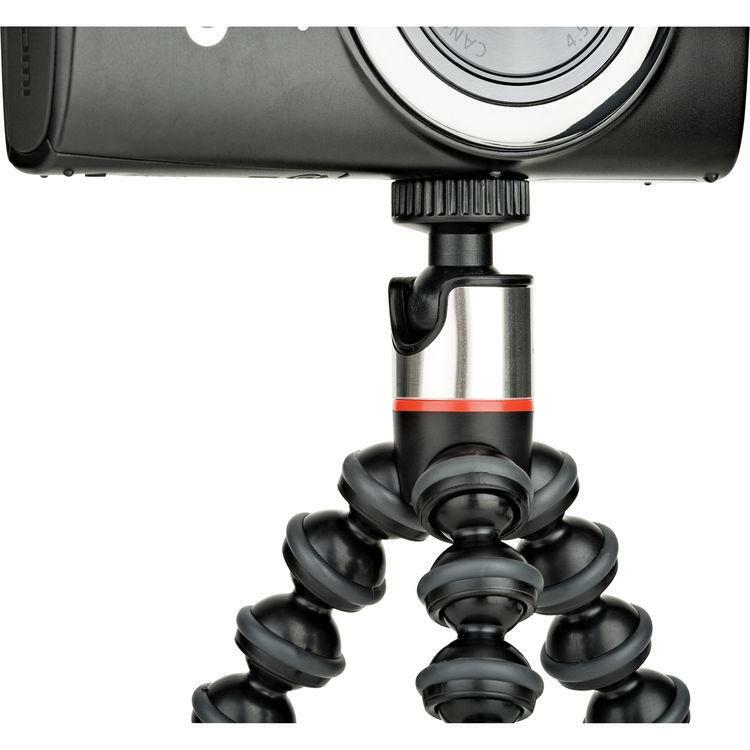 To help improve its grip and stability on unstable surfaces, the joints and feet of the stand are rubberized in certain areas. 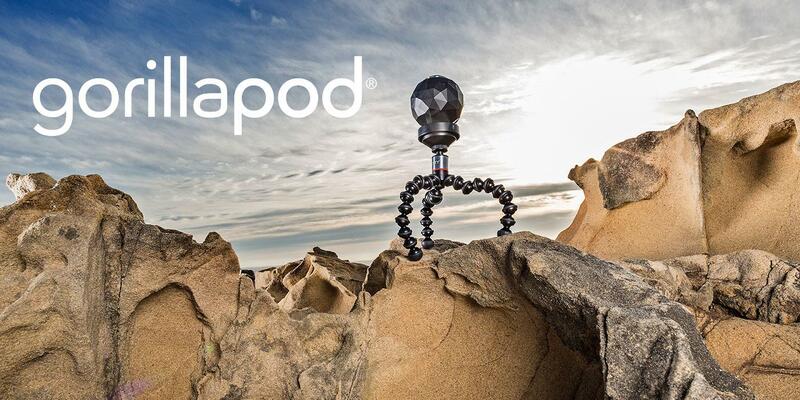 The rest of the tripod is made of a proprietary ABS plastic designed to provide durability and stable performance.